The National Transportation Safety Board unveiled its “Most Wanted List” of transportation safety improvements for 2019-2020 during a press conference in Washington D.C. on Feb. 4; adding calls for the implementation of 46 specific items from a list of 267 open agency safety recommendations over the next two years. Published since 1990, the NTSB said its “Most Wanted List” provides a “roadmap” to focus on implementing the most critical recommendations made the agency. Improvements to highway infrastructure are recommended in NTSB’s fifth-ranked recommendation on its 2019-2020 list as part of an effort to reduce speeding-related crashes, which the agency said kill more than 10,000 people and cost society more than $52 billion annually. 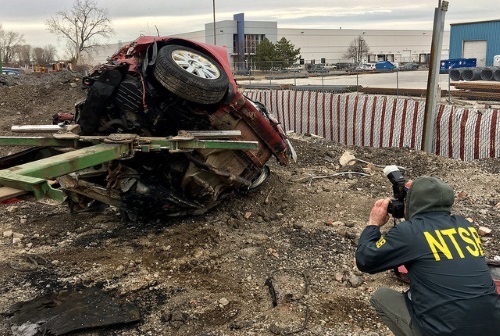 “Proven countermeasures – including automated enforcement technology, vehicle technology, infrastructure design, and education campaigns – must be used more broadly to reduce speeding-related crashes,” NTSB said.